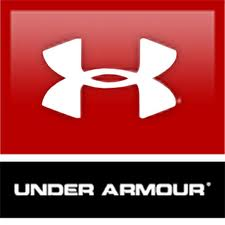 Social Media Gives Underdog Under Armour The Edge | My "Marketing Nirvana"
I agree! Under Armour is leading the field because of the willingness to dive in and create a social presence . . where others in the industry are lagging behind. I do “play” with athletic companies at their social media sites — Nike, for example. With 8.7 million “likes’ on their Facebook page, they definitely have a following. Nike has created pages by sports interest to garner fans from all walks of sports and athletics. As Bill Bowerman says, “If you have a body, you are an athlete.” (I always KNEW i was an athlete!). While Nike has a huge Facebook presence, I haven’t seen anything quite as innovative as what Under Armour has done to increase engagement and grow their business. Nancy, thanks for getting in the game and sharing your insights on Nike & Under Armour’s respective social media strategies. Under Armour has taken the initiative to promote its brand through social media in a way that other companies will probably follow suit. Social media allows underdog companies to have equal or near equal footing with major brands, levelling the playing field.